I absolutely love lighting candles in the evenings now that the nights are getting darker and colder. I have recently been burning a beautiful one from a UK based brand, Petits Rituels. It has an approximate burn time of 40 hours and is packaged in a beautiful frosty white glass jar, inside a pretty, floral box. This whole brand oozes luxury, and it comes with a £35.00 price tag, however I think it is completely worth it. The candles smell incredible, the ingredients are amazing and it looks so pretty sitting on my fireplace. You can buy Petits Rituels on their website here. P.S This photo is a sneaky peek at what's to come in my Christmas Gift Guides...starting 1st November. Make sure you're following me on BlogLovin so you don't miss out on some beautiful natural & organic gifts. 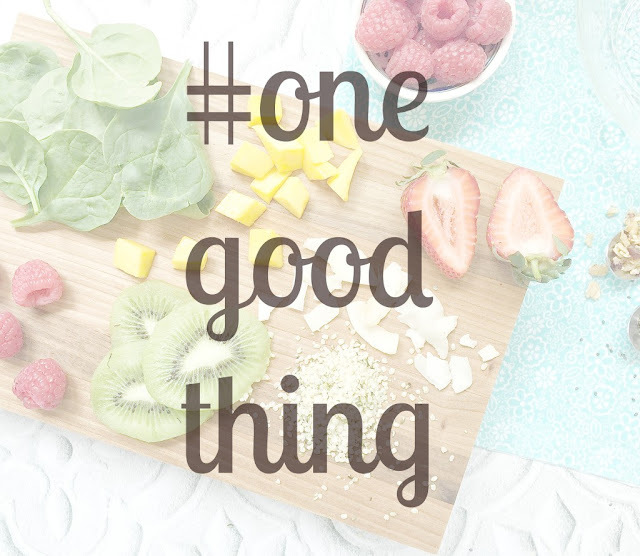 Minvita challenged me to add one good thing into my lifestyle for 14 to 30 days as part of their #OneGoodThing challenge. I was really excited when I was approached about this challenge as I've been feeling very unmotivated health-wise recently. Since my sister was away all Summer, I didn't really have the energy after work to drag myself to the gym (we run a shop together), not to mention she's my gym buddy so I didn't really have anyone to motivate me! To kick off the challenge Minvita kindly sent me a bunch of goodies from their range. I wanted to do some form of exercise every single day, to get back into the routine and help me tone up. I started off really well, and went to the gym a few days in a row, but then I got a cold so resting was the best option for me. I then got back into it with some light yoga and then back to the gym again! I actually misunderstood this challenge a bit...oops! You are supposed to incorporate one good new thing, every day for 14 days. However I did incorporate more than just exercise in order to help me feel better and be more motivated. I loved using the superfood powders in my yoghurts and cereal. 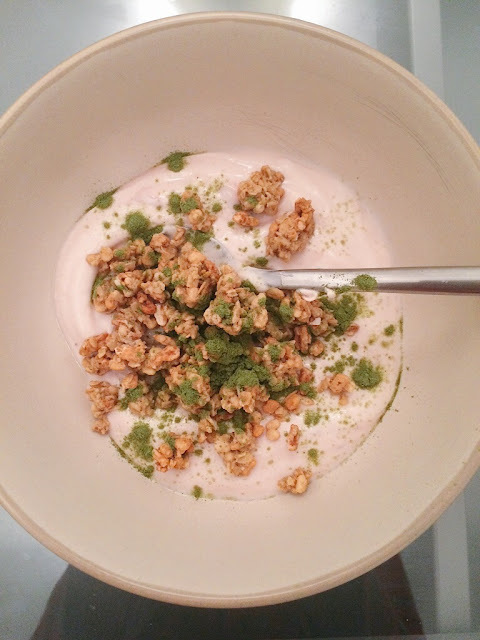 I used the Moringa powder mixed in with some strawberry porridge & granola as an evening snack when I was feeling peckish and also for breakfast. The Moringa powder is rich in Vitamin A so it's great for your immune system. I like that the powders aren't very strong in taste, as I am a very fussy eater so it makes them easy to mix into other foods as you can't really tell they're in there! I think this challenge is great as so many people will try and restrict themselves of foods in order to try and be more healthy, however we all know as soon as you stop yourself from having something, it's all you think about! If I was to stop myself from having chocolate, I'd end up scoffing my face in a few days! By challenging yourself to do something like eating more fruit, you're then eliminating the need to full yourself up on something else. I really enjoyed taking part in the challenge because I felt like I had to do something...it kept me motivated! My lovely blogging buddies Ana and Gemma also took part in the challenge. Click their names to read how they got on. I will be doing this again in the New Year I think, the proper way! Do you like the idea of this challenge? Will you be trying it out? You might have read the title of this post and thought, "that's not very eco-friendly, a stationery box..." however, I was recently contacted by HoneyTree, a stationery brand who use sustainable papers for all of their products. They make bespoke invitations, stationery, labels and tags and have now started their own subscription box. Each month you will receive a special curated box of stationery, which you can share with others, send to friends and family or frame for yourself. There will be at least 7 stationery items inside each box with a retail value of no less than £30.00. I received the October Subscription Box* which was full of seasonal cards, gift tags, postcards and a print. HoneyTree love to follow trends and seasons so you'll find Autumnal leaves in this box, and maybe warm mittens and mulled wine around Christmas time. Each artist that is featured in the box receives 5% royalty for each sold, and they also donate £1 to the Post Pals Extra Smile Campaign, which helps provide day in, day out support to sick children and their family. Included in this month's box were three greetings cards, two postcards, two gift tags with ribbons, a card and envelope and finally a print...I've hung this up on my wall with some silver washi tape, or you could frame it for your office! In a world so obsessed with Facebook and Twitter, it's so lovely to receive hand-written notes and cards nowadays. I often keep my birthday cards so I can look back on them in years to come. I actually found one from my 13th birthday a few days ago when I was looking through a box of old stuff - that's almost 10 years ago! You can read more about their Environmental Policy here and sign up to the HoneyTree Post Subscription Box here. You can also choose to send direct to the recipient and enter a gift message at checkout so they'll receive a personalised greetings card with your message in their first Post Box. To get £5 off your first subscription, enter code "HTPEC5" at checkout. After Ella arrived home from her 3 month trip to America, I was in serious need of a few days off work! Running the shop on my own for 4 days a week, with help on just a couple of days was quite stressful, although it did go a lot quicker than I thought it would! So Paul and I booked a hotel in Warwickshire a few weekends ago and spent some relaxing time together. On the way to Wroxall Abbey Hotel, we stopped in Warwick town centre for a wonder around. It was such a lovely day and we actually saw the Japanese rugby team as Warwick are hosting them for the Rugby World Cup! We went into a quaint garden at the bottom of a cute old fashioned, cobble stone street which had a lovely lake and beautiful flowers...and obviously bees! The view of Warwick Castle was lovely from the garden, which has been featured on ITV & BBC. After tea & cake, we headed to the hotel in Wroxall. It was a very old fashioned mansion estate, a little creepy at first but the grounds were beautiful. We went out for dinner one night and went shopping in Solihull the next day but we just relaxed most of the time. Sitting outside on the patio was so peaceful as we were one of few who were staying at the hotel. Bit of a different post from me today but I like to share more personal things every now & then! I've been getting through quite a bit of my stash recently (with thanks to Paul as well) so I thought I'd share some of the products I've finished within the last 2-3 months. I don't really go though things enough to do a monthly empties post, however I might set myself a challenge to go through more stuff...anyway, onto the empties! If the titles are bold, that means I've reviewed the product before. This is probably one of my favourite natural shampoos that I've tried. I'm still looking for my holy grail but this came pretty close. Repurchase? Maybe. I bought this last year as part of an amazing Black Friday deal that Pai were offering. If you bought about £70 worth of products, you got £80 free so it was a no-brainer for me as I had been wanting to try this serum for a while. It did keep my skin clear for the 3 months that it lasted me (almost every day, twice a day) however I haven't been using it for about 3-4 months now since I ran out so I'm not 100% sure it was completely down to this serum. I had actually finished this serum on my last empties but I forgot to include it in the post! Repurchase? Only if my skin got really bad. Love this stuff. I can't recommend it enough. I ordered 4 bottles on my last order and I have one & a half left as I passed one onto my Mum to use as well. It's lightweight, sinks in quickly and has no scent or colour so it's perfect for the mornings under foundation. Repurchase? Yes. I actually can't say I used all of this up on my own....Paul used about 3/4 of it! I really do need to teach him that he doesn't need to use half the jar for his whole body...although he does speak highly of it and told Indie when we met her how much he loved it! It smells absolutely amazing, the lemon and coconut together make such a gorgeous scent and it's scrubby but not too rough so it removes dry skin super easily and leaves your skin moisturised and smooth. Repurchase? Yes. Read about my day out when I met Indie Lee! I reviewed these a little while ago and whilst they are a lovely blend of oils and essential oils, they weren't very strong. Repurchase? If the scents were a little stronger. My skin actually really liked this toner, although I wasn't that keen on the scent. But it did keen my skin looking clear and hydrated. Repurchase? Maybe...shipping costs are quite high from USA. I had a couple of these travel sized bottle and absolutely love the scent of this oil. Repurchase? I already have a full size. I got this in the A/W swap last year with Julie and I absolutely loved the scent of it but I found that the texture changed and sometimes it was running, sometimes it was gloopy and it would be hard to spread onto my underarms. It is bicarb free which is great if you have a sensitivity, and I do find I have some irritation with some natural deodorants however this just didn't hold up for me. I got this sample from Peace Beauty London and I actually really liked it from what I tried. I wil probably buy a full size. I really liked using this as an oil before make-up as it gave a matte sort of finish and primed feel to the skin. I wasn't that keen on the scent though. Repurchase? Maybe. I love this mascara, it makes my lashes long but gives them volume at the same time. Repurchase? Yes. Love love love this stuff. It's addictive! Repurchase? Already have. I used this up quite a while ago, it was just sitting on my drawers with a bunch of other stuff so I forgot about it really. It was nice but didn't really do much for my dark circles. Repurchase? No. I love this stuff, it removes nail varnish without being harsh on the skin around your nails. Repurchase? Already have. I like this shower gel, it smells amazing and I love the scent. The brand is lovely and I already have another one from the S/S ABW Sampler Box Repurchase? Maybe. This was my first natural makeup purchase and I repurchased another one a while ago as I thought this one was running out but it seemed to last me longer than expected. However, it did start to dry up so whilst it's not completely empty, it was time for it to go. My new one is in a much nicer container too as it's metal not plastic. Repurchase? Already have. Have you tried any of these? What have you used up recently? My first post since Organic September, yay! I enjoyed having a few days off from blogging but I'm back now, and today I've got a new Discovery Box from Naturisimo for you all. The De-Stress & Unwind Discovery Box* is an expertly curated selection of nine products that allow you to lie back, relax and enjoy a top to toe Home Spa experience! This month's Discovery Box is here to help detox, pamper, nourish your body and clear your mind. • Scentered Stress Less Therapy Balm, 5g: Scentered's hero product - A balancing and uplifting 100% natural balm to help with the demands of modern life, ease everyday tensions, soothe the mind and lift the spirits. I already have one of these, so I'll be passing this onto one of my sisters or my Mum. It smells lovely and the brand has such a lovely concept - making you feel "centered" with scents and aromatherapy in an easy to use balm stick. This is worth £14.50 on its own. • Ila Bath Soak for Pure Relaxation, 50ml: A natural bath soak, blended with the purest oils of calming vetivert and petitgrain to nourish and soothe body and mind, resulting in feelings of deepest calm. I had one of these before and Paul ended up using all of it as I'm not a bath person. He really liked it though and it does smell lovely. • Dr Hauschka Lavender Sandalwood Body Cream, 5ml: A deeply soothing cream featuring the smooth, comforting scent of lavender complemented by warm notes of sandalwood, to leave your smooth, soft and protected. • Dr Hauschka Almond Soothing Body Cream, 5ml: An soothing, calming body lotion infused with fortifying and protective ingredients to nourish and strengthen even dry, sensitive skin. Two body cream sachets from Dr Hauschka, a brand I haven't actually tried much from but the scents sound lovely and perfect for Autumn. • Hydrea London Stress Spot Body Massager, 1 unit: An easy grip sustainable wood hand held massager that is the perfect companion for those times when you need to ease muscle fatigue and unwind! This is interesting as it isn't technically a beauty product, but something that will help you to relax and massage any sore, achy muscles. • This Works Deep Sleep Pillow Spray, 5ml: A best-selling, natural sleep aid to relieve stress, calm the nerves and ensure a good night's sleep with a signature relaxing fragrance. I haven't tried this yet but I've heard great things about this pillow spray. I love using aromatherapy products at night as my mind just goes wild thinking about everything and anything as soon as I try to go to sleep so I'll definitely be giving this a go. • Pukka Tea sample selection, 3 x single bags: Love, Serene Jasmine Green and Relax teas for you to try - they are all naturally organic and totally free from artificial flavourings. Pukka are one of my favourite tea brands as they have such a huge variety of flavours. I'm looking forward to trying all of these flavours as I've not tried any before. You can get your De-Stress & Unwind Discovery Box for just £9.95. Be quick, they often sell out quickly! You can also get 15% off these brands by using code "UNWIND" on the Naturisimo website.